A new incarnation of the musings and ramblings blog of Janet Langford. I can knit plain, simple items quite well. 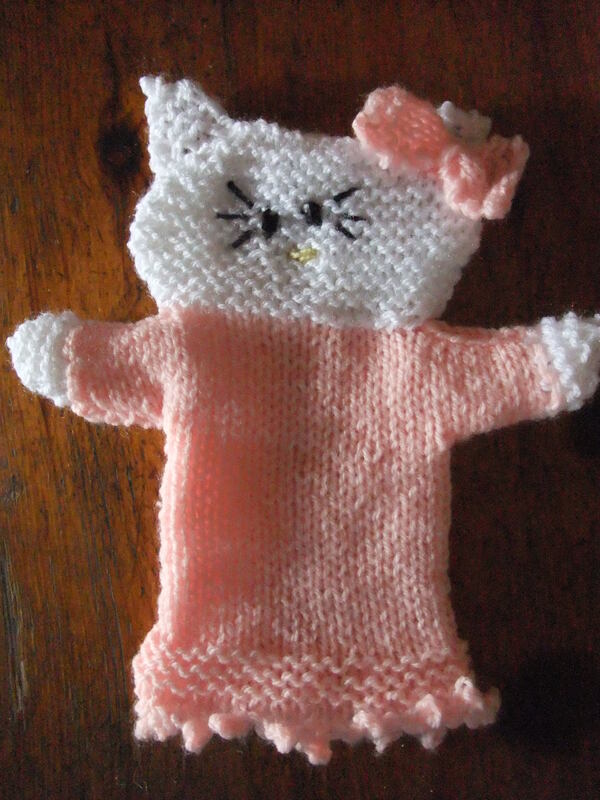 Indeed, I spend many hours knitting and I enjoy to do it, especially knitting gifts for people. What I am crap at is the finishing aspect. Once a project is knitted, it’s finished as far as I’m concerned. Sewing up, blocking out, twiddly little details – they bore me silly. Hence this sweet little hand-puppet, a gift for my granddaughter’s second birthday, looks a little drunk, or cranky perhaps but certainly cross-eyed. The set of the ears is rather strange too. I like the bow though. Focus on the bow – it’s really cute. I’m sure a two-year old is not going to complain and I don’t think she will think Hello Kitty is Scary Kitty. I just have to hope now that it arrives in time. It’s going to India, notorious for losing postal items, so please be kind on me Mr Postman and get it there on time.